Ritec have appointed Brian McDonald as their New Sales and Business Development Manager. Mr McDonald will be in charge of developing new markets and supporting customers to increase sales. He is part of an expanded international team of Ritec Business Development Managers charged with advancing the new ClearShield Eco-System™ brand. “The expansion of our sales and business development team further strengthens our ability to meet the needs of our customers,” notes Stephen Byers, Managing Director of Ritec International. 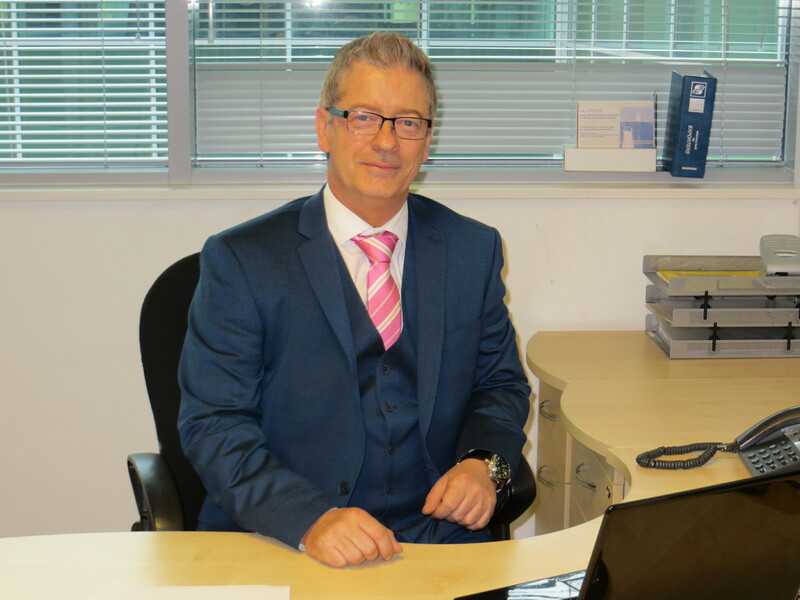 Before joining Ritec International, Brian was Commercial Manager at Global Glass (Synseal Extrusions). With twenty years’ experience in the glass industry, Brian has worked for some of the industry’s leading companies including Saint Gobain, Hegla Machinery, Hanic Software and Bystronic Machinery in varied roles such as mechanical engineering, curtain walling, glass processing, machinery and business management. He is well known industry-wide for business development strategy and building product brands. For more information visit www.ritec.co.uk or email info@ritec.co.uk. Ritec is very pleased that the GGF is investigating the issue of misapplication of glass surface treatments that could place glass and glazing companies at risk. Glass trade associations in other countries are taking similar actions because of a growing list of concerns about product health and safety as well as performance and durability – which could present serious risks to lives, property and financial well-being of glass and glazing companies. Misapplication could occur, for example, when a highly flammable technology requiring manual application or high temperature curing to work properly is atomised or misted onto glass. If strict health and safety regulations are not met, this can create risks of breathing hazardous ‘nanoparticles’ and risks of explosion. Also, atomising or misting this type of technology can make both performance and durability unpredictable. Misapplication could also occur when a product classified as hazardous (because of high flammability and ‘nanoparticles’ when atomised or misted without legally required safeguards) is substituted for Ritec ClearShield®, the only liquid-applied glass surface treatment not classified as hazardous. Ritec supports the GGF’s concerns and will be interested to see what further action is taken following the discussions at the next GGF Health and Safety Committee meeting. This will hopefully provide the necessary industry guidance (for GGF Members and non-members alike) to enable companies to make informed decisions when buying and safely applying glass surface treatments. Just to reassure our customers, ClearShield® does not fall into the category of glass surface treatments under investigation. ClearShield® is not classified as hazardous for either personal health & safety or environmental. If you are unsure of how you are applying glass surface treatments or you know of any misapplication of glass surface treatments, please feel free to call Ritec direct on +44 (0)20 8344 8210. As part of our customer care, we will be happy to assist in any way we can to prevent any health or safety risks to your staff, property or products. Customers are always asking us for a demonstration of ClearShield in action. Here is a short video we made of our mud dome in action. 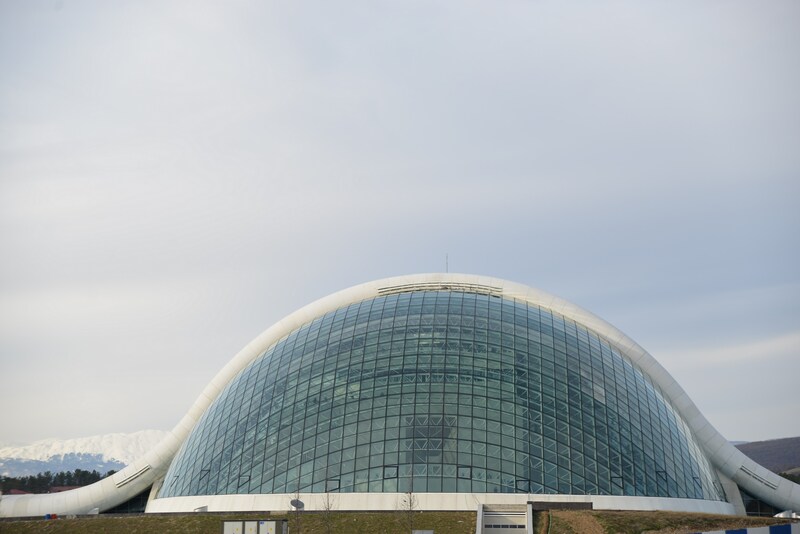 Georgia’s new parliament has opened to a fanfare of acclaim with all of its glass treated with the ClearShield Eco-System™. 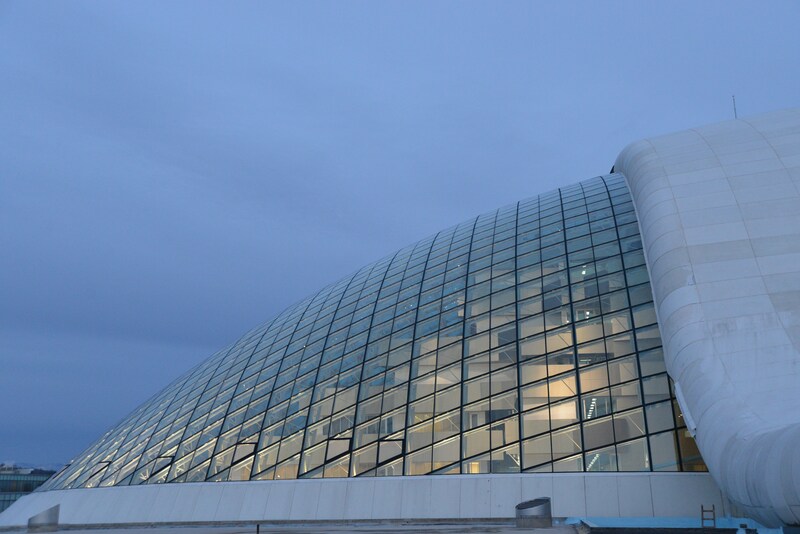 The futuristic building, in a shape of a huge glass dome, contains split-level gardens and glass-fronted offices. The new parliament is the pet project of the country’s architecture-loving president, Mikhail Saakashvili and is meant to symbolise democratic openness and transparency in a country which, until 1991, was part of the Soviet Union. 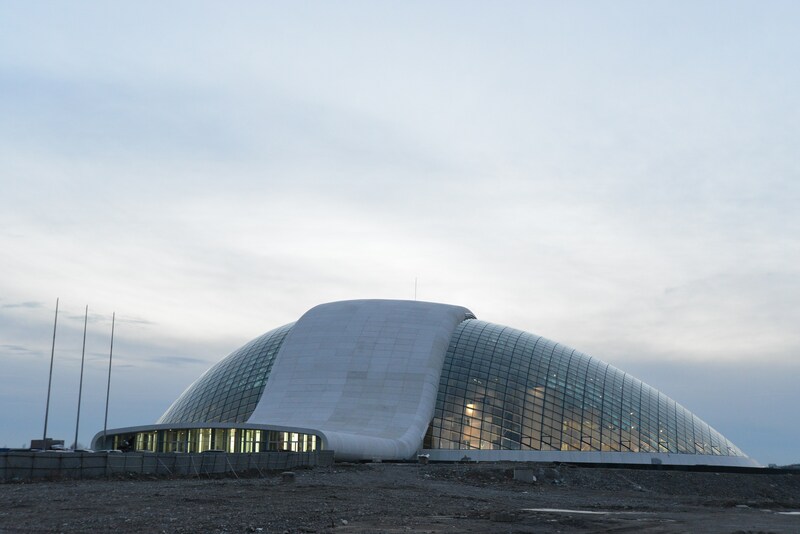 Ritec’s representative in neighbouring Turkey, Kozmos Cam, was brought in to treat all of the building’s glass – 11,500 square metres – with the ClearShield Eco-System™. Early into the construction project, the glass was installed into its aluminium frame. However, continuing building work lead to contamination of the newly installed glass with silicone and concrete run-off. 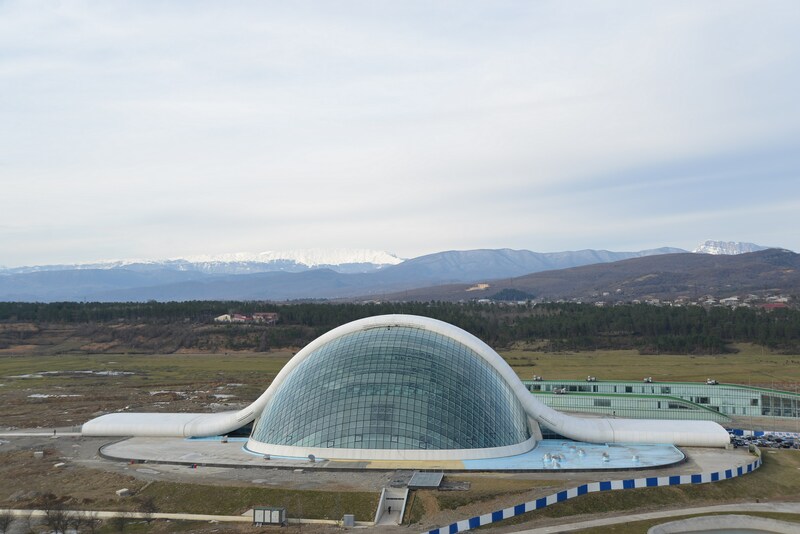 Kozmos was first asked to renovate the glass back to its original state, the first stage of the ClearShield System™. The second stage was to protect the glass from future moisture, alkaline and dirt (MAD), three elements that can turn new glass into ‘Problem Glass’. ClearShield® was used to transform the glass into ‘low-maintenance’ glass which will make the Parliament’s glass elements easier to clean and provide resistance to staining and discolouration. The result has been met with universal acclaim from all construction partners, with the main contractor requesting the further application of ClearShield® on the parliament’s interior glass and future architectural glass projects the company are involved in. For more information on how the ClearShield Eco-System™ adds value every step of the supply chain, visit www.ritec.co.uk or email info@ritec.co.uk.